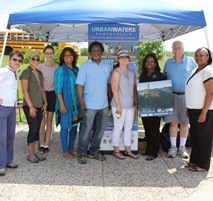 The Urban Waters Federal Partnership (UWFP) is a 14 agency collaboration to connect urban communities with their waterways. During a recent conference in Washington DC, 28 non-governmental organizations, including 8 OAK members, pledged to support the partnership. Mohican School in the Out-of-Doors is one of Ohio’s premiere outdoor education organizations. Mohican School in the Out-of-Doors champions environmental stewardship and is committed to providing a unique understanding of the interrelatedness of the natural environment, emphasizing cooperative learning in a community-centered setting. This past October the Wilderness 50 conference, a national gathering of wilderness advocates, stewards, educators, students and researchers, was held in Albuquerque, New Mexico. Jennifer Owen-White, Refuge Manager of the Valle de Oro National Wildlife Refuge and OAK’s partner in the ECHO (Every Child Healthy Outside) Across Albuquerque project, participated on the discussion panel, “Ensuring Our Future Through Youth Wilderness Programs," sharing her experiences in Albuquerque. The Rails-to-Trails Conservancy contracted two polling firms — one Democratic, on Republican — to ask 1,000 people what they thought about funding for active transportation. The vast majority, 74% of voters support federal funding for active transportation. Read OAK’s position on active transportation. In 2007, the Washington State Legislature passed the No Child Left Inside bill. Unfortunately, the program was defunded during the 2009 economic downturn. Want to learn about the latest research and policies, hear from leading health and urban planning experts, and discover innovations in technology that bring new audiences to nature? Join Children & Nature Network for their 2015 Conference in Austin, Texas on April 7-9, 2015. Register today! 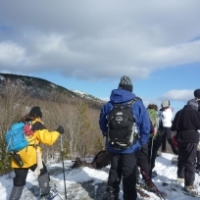 American Hiking Society encourages you - and your kids - to start your New Year on the right foot by joining one of America's State Parks' First Day Hikes. On January 1, 2015, hundreds of state parks across the U.S. will offer visitors FREE guided hikes, many along beautiful, snowy trails. Find a First Day Hike near you! 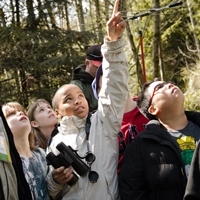 Children & Nature Network and the National League of Cities have each posted new positions in Washington, DC, to support their new initiative Cities Promoting Access to Nature. These are very important positions for our collective efforts to get kids outdoors in cities across America. Please spread the word and help find some great candidates! Do you know another business or organization that share’s OAK’s mission to expand the number and quality of opportunities for children, youth and families to connect with the outdoors? Encourage them to become a member today!